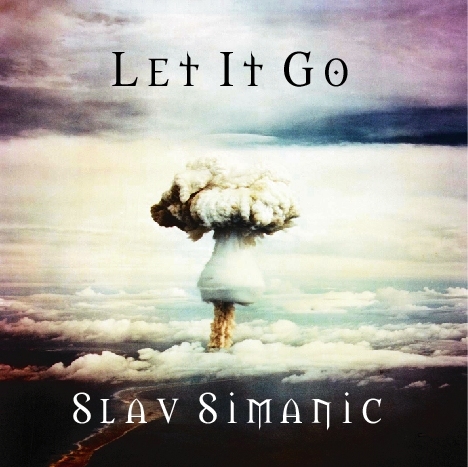 Slav Simanic is a man with a message. A religious message that oozes from his lyrics and the sometimes very spiritual sounding guitars and arrangements. This lyrical content might put some off, but anyone with good musical taste will appreciate this record for the good compositions, guitar work and production. Guitar9.com already has features on this guy, which should tell you that as far as guitar work goes Slav is a force to be reckoned with. But; it would be unfair to credit only Slav Simanic for the outstanding quality of this record. He's got more working for him; not in the least singer Phil Naro (Talas). Though certainly not a flawless singer (a tad shaky on "Can't Stop At A Dime"), he's very convincing, especially on song like "People Say". Simanic was born in Smederevo, Yugoslavia but relocated to Canada in 1994 and began teaching at the New Conservatory of Music in Toronto. So his thorough knowledge of guitar technique is understandable, but thankfully he has good understanding of songwriting as well. Personally my introduction to Slav's work was through the "Warmth In The Wilderness - A Tribute To Jason Becker" album on which he performed. What I've always respected is a good taste in guitar sounds. And I get some of the best on tracks like "Diciples of..." and the subsequent "... The Almighty". The lead guitar sound here is amazing. Beautifully defined sound and playing. Love it! Unfortunately some of the rhythm guitar sounds (like on "See The Light" sound somewhat flat. I perfectly realize, however, that this is largely a matter of personal taste, so you'll just have to judge for yourself on this one. My recommended tracks would be "The Message Of Three Angels" (heavily influenced by the classical masters), "People Say" and "You're Never Gonna Die" with it's beautiful mediaeval sounding intro. The diversity of "Let It Go" makes some demands on the listener, but I have no problems listening through this in one stretch. A very nice addition to my collection of guitar-heavy CD's. Great job, Slav!